- Sources confirm that the mule is running the new 1.9-litre engine under the hood. - The engine is paired with a 6-speed automatic transmission. - Apart from the engine, the V-Cross will also get slight aesthetic revisions and new features. Isuzu India is inching closer towards unveiling the updated avatar of the much-loved D-Max V-Cross pickup truck. We spotted a test mule wrapped in camouflage testing on the outskirts of Pune. This could be the final phase of testing by ARAI before the vehicle is certified by the authority for sale. Here’s where things get interesting. A well-informed birdie chirps that the test mule has a 1.9-litre engine under the hood. This 1890cc motor makes a healthy 150PS of power and 350Nm of torque. While it isn’t a huge bump up from the 2.5’s 138PS/320Nm, it will fare a whole lot better in terms of emissions. With BSVI norms on the horizon, Isuzu is ensuring their range is ready and compliant with the upcoming stipulations. The new engine also means a new transmission. And Mr Birdie says that the 1.9-litre engine has an automatic transmission paired to it. This should be no different than the 6-speed torque converter on the international version. Now, it remains to be seen if Isuzu chooses to offer 4WD with the automatic gearbox. 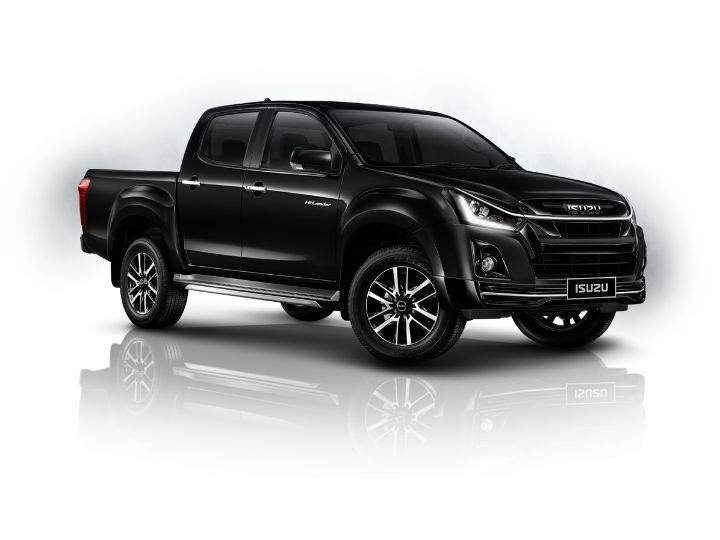 While the manufacturer does offer the AT-4WD combo in the UK-spec version of the pickup, the Thai-spec version does not feature it. A possible game plan for Isuzu could be to offer the 1.9 AT (4x2) alongside the 2.5 MT (4x4). The former will cater to those who are looking at the pickup as a lifestyle vehicle and intend on using it within the confines of the city for the most part. For those looking at mud-plugging, the manual four-wheel drive option will continue to be more lucrative anyway. But there’s a caveat. It’s unlikely that the 2.5-litre engine will meet the upcoming emission norms. Therefore it is expected to be discontinued (or replaced by a 1.9 4x4 MT) at a later date. Expect the pickup truck to go on sale in the first quarter of 2019. Prices should remain virtually unchanged, starting at Rs 15 lakh and topping out at around Rs 18 lakh (ex-showroom). Share your experiences with D-Max V-Cross 2019?